At Remington Industries, we maintain an extensive inventory of in-stock wire and raw materials in sizes to meet virtually any application. 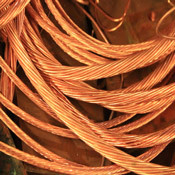 We routinely supply wire for engineering projects, guitar pickups, and primary and secondary educational applications including student science projects, plus many other coil winding and electronics applications. 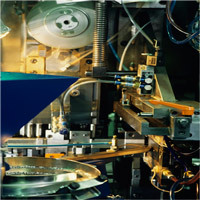 In additional to carrying a variety of spool sizes, we can re-spool wire to meet special length or weight requirements. 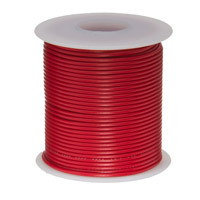 Our wire re-spooling capabilities range from 8 to 45 AWG. We can supply wire in bifilar form, which is presented as two different strands of wire wound together, or as trifilar which is three strands of wire wound together. We can also provide the actual winding of such bifilar and trifilar coils. 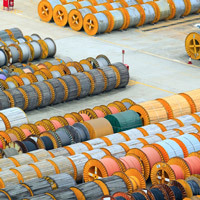 We have the expertise and facilities to provide wire in a configuration ready for your application. Our wire cutting and stripping capabilities, along with our wire twisting and custom spooling service, will let you put your wire to work immediately and avoid delays and costly processing on your end. We have decades of experience in the raw materials, wire processing and coil winding industry, which has given us an extensive knowledge of product availability and resources. If you can’t find what you need, or if you’re not even sure what you need exists, let us know. If it’s available, or can be made available, we’ll procure it for you. We are proud to offer a wide range of value-added services, to make your experience working with us as efficient and beneficial as possible. From Cut to Length, CNC Turning, Grinding, and Prototyping, we are able to provide quality control and efficiency to your raw materials. In other words, whatever your custom requirement may be, it only takes one call to get experienced assistance.